During the early to mid 20th century the term Society Band was used to describe bands that worked the private party circuit. Society Jazz, is a jazz quartet that captures the sophisticated sounds of this era. 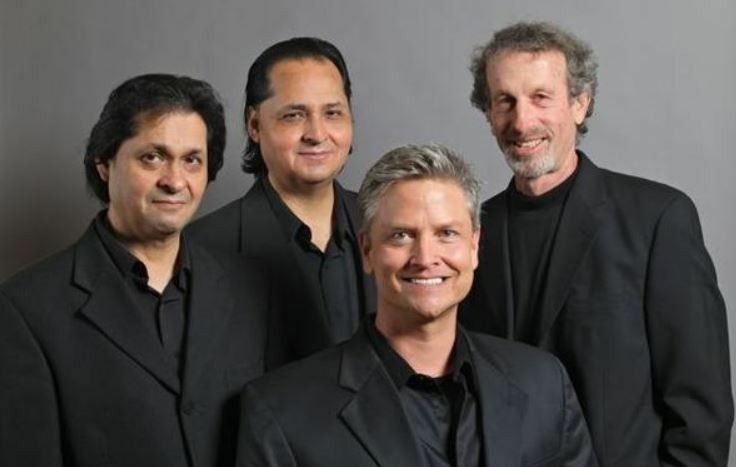 Our group is comprised of four fine Santa Barbara based jazz musicians; Kevin Fox on piano/keyboard, Ruben Martinez on bass with brother Rene Martinez on drums and Glenn Novack on vocals. Featuring the great standards from the 20's thru the 50's with a nod to the great male crooners of this time. 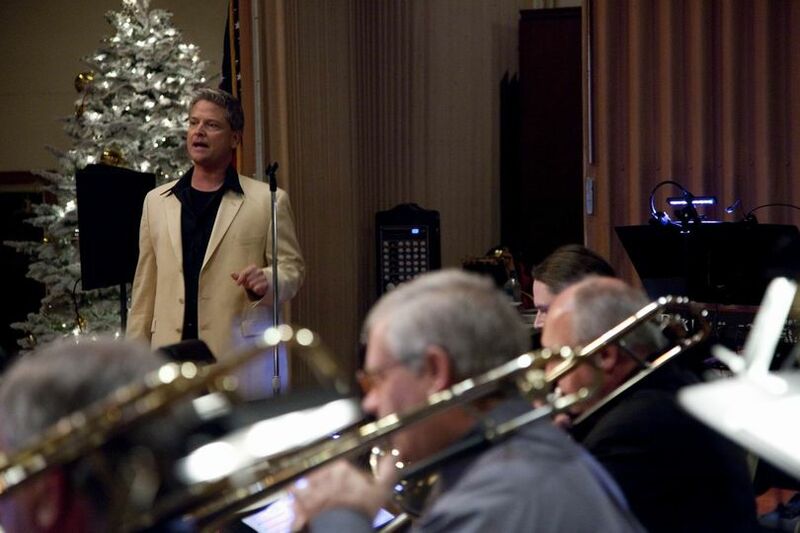 From Frank Sinatra to Johnny Hartman, Society Jazz will add just the right note. 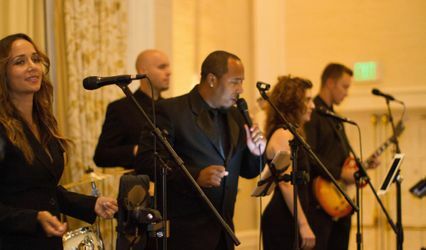 Society Jazz is the perfect choice for the cocktail hour, wedding receptions, fundraisers, anniversary's, openings and dances....oh and yes, we do take requests! Glenn grew up listening to the Great American Songbook from a very early age. His mother, Betty Montano, was a big band singer in the 50's and 60's. She sang with the Jerry Rosen Orchestra, a society band and also subbed for Arti Shaw and Perez Prado. "One night in 1961, mom was singing at the Beverly Wilshire Hotel in Los Angeles. 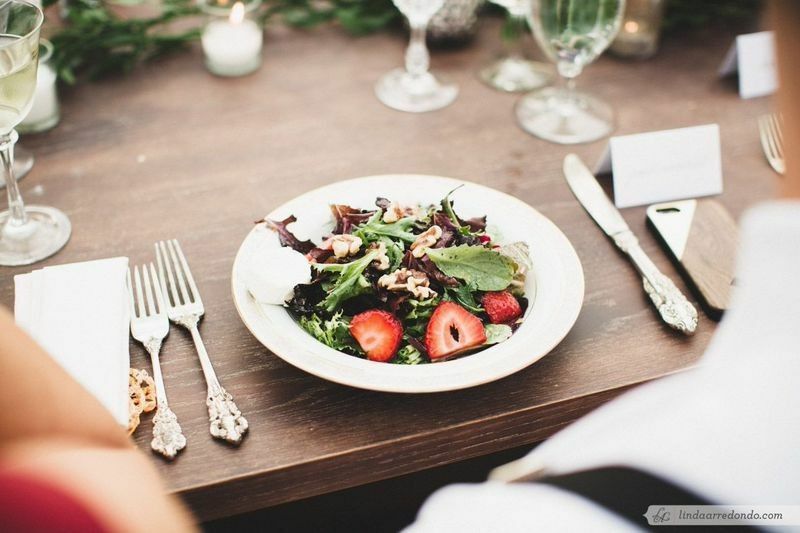 On her break, my dad "to be" offered to buy her a drink, a year later they were married." 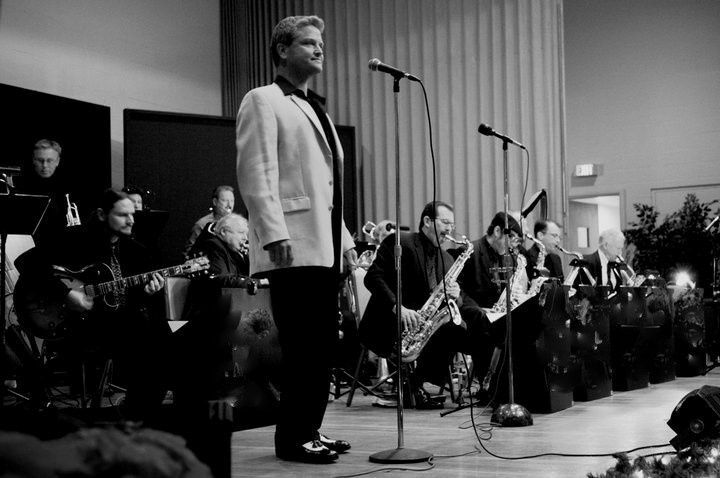 Glenn is currently the male vocalist with the Ventura Jazz Orchestra, a 19 piece big band. 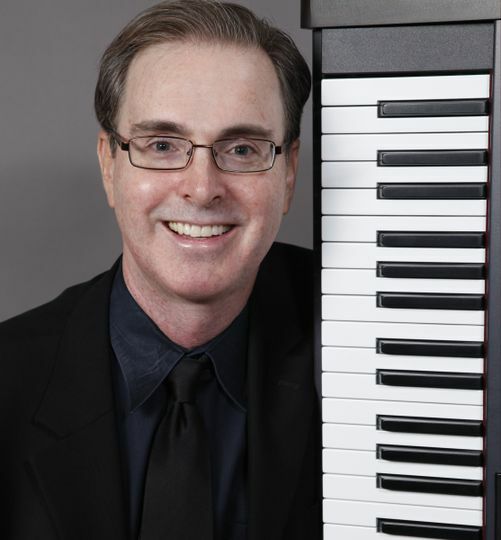 Woody DeMarco is one of the top pianists in Santa Barbara and all of us love working with him. Woody serves up good old fashioned be-bop with a distinctly personal touch. His ideas can be moody or joyful, and that makes for a very interesting mix. 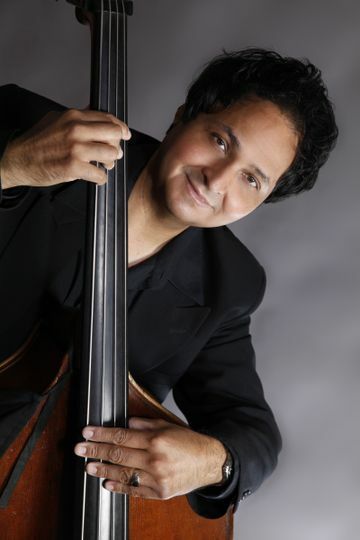 DeMarco is a solid jazz pianist, who swings delightfully with the Society Jazz Trio. There isn't a professional musician or a venue in town that Woody has worked with and we're very happy to have him join Society Jazz as one of our pianists. Pianist/ Composer Kevin Fox began playing piano at a very early age. At 17, he began playing professionally. In 1988, he took a job with Holland America Line and in 1989, was promoted to Musical Director (Pianist/Conductor) of the 10-piece orchestra on the Nieuw Amsterdam. In 1990, he moved to New York City to continue his career as a live performer playing solo and as band leader at many of New York City's finest establishments including the Carlyle, St. Regis and Four Seasons Hotels, Tavern on the Green and Sardi's, The '21' Club and at the historic Greenbrier Hotel near Washington D.C. From 2002 until 2008, he was the regular weekend performer at the Star Lounge, Ritz-Carlton, Central Park, entertaining a diverse clientele with a sophisticated selection of classic and contemporary music. Most recently, he relocated to Carpinteria, California to continue working as a live performer as well as a composer and producer. Please visit www.kevincraigfox.com (Kevin Fox's composer website). 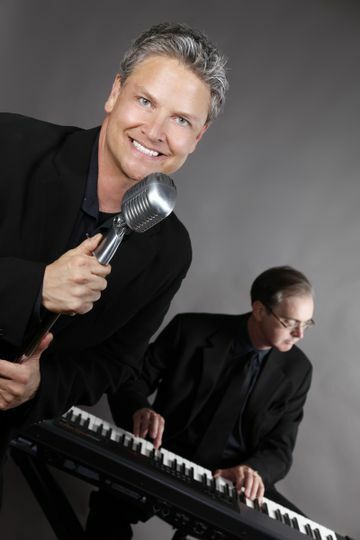 Kevin has performed locally at Montecito Country Club, Mara Villa Senior Living and Nordstrom and is a member of Ventura Jazz Orchestra and Society Jazz. Sons of the great Lorenzo "Lencho" Martinez, Sr., these boys began playing at the age of 4 and 12. 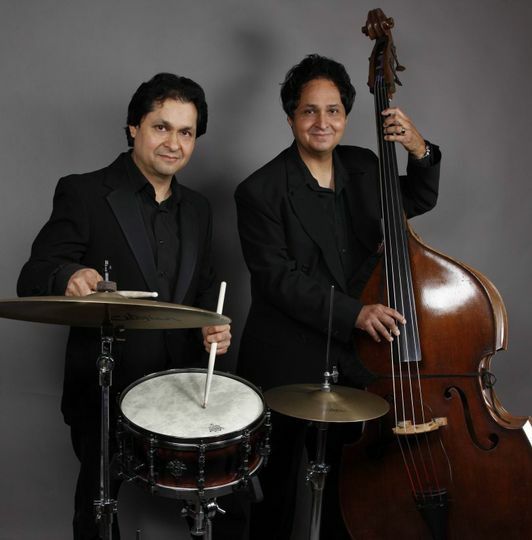 Rene is an accomplished drummer and latin percussionist and Ruben plays both electric and upright bass as well as jazz flute and marimba. While growing up under the talented wings of their father, Ruben and Rene would join with Lencho on local steady gigs at the El Paseo Restaurant and Biltmore Hotel, performing with their mother and many others including; Betty Montano-Glenn Novack's mother,. One of the greatest joys of their life was performing at the Biltmore with their father. Glenn says: " I always wanted to put a group together with the Martinez Brother's, not just because of their great talents but also because our parents worked with each other." The Martinez Brother's have been fixtures in The Old Spanish Days Fiesta for years. In recent times, Rene and Ruben have enjoyed a 15 year gig at the local Cafe Buenos Aires. You can see Ruben and Rene weekly at Tony Ray's and Monthly at Soho Restaurant. Ruben and Rene have played for just about everyone in town and at nearly every venue. Glenn and the guys are all excellent, very professional and a lot of fun. 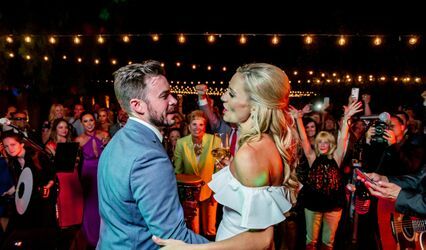 If you&apos;re looking for wonderful music, go no further; The level of professionalism, an outstanding music that will entertain your guests all night so they barely seat down, and the music that will make the party with it&apos;s on style and voices, you are sure to hit the jackpot when hiring Society Jazz, for all occasions! 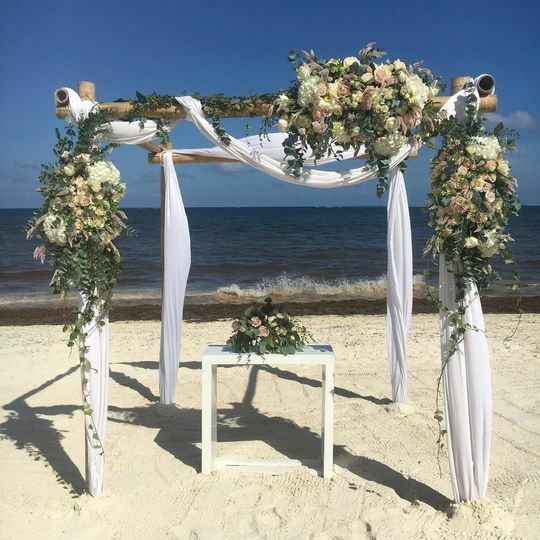 Fun, organized and professional! 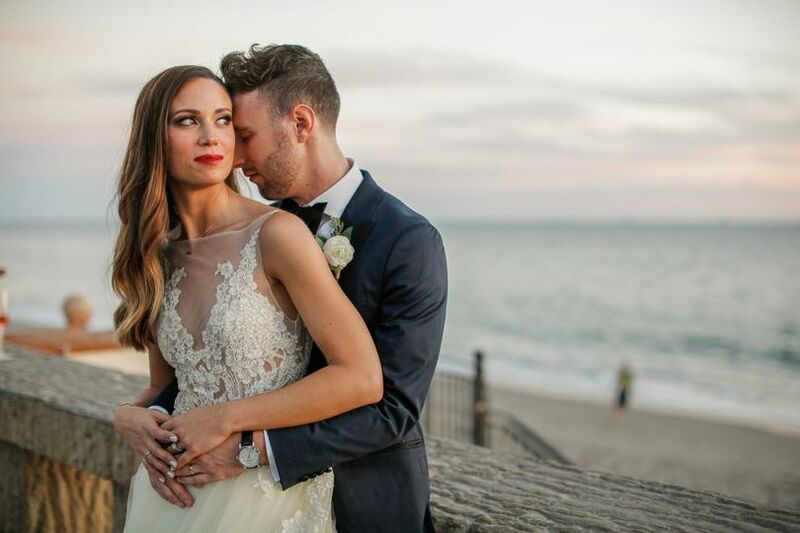 Society Jazz is a great added touch to your Wedding Day! Society Jazz is a treat - if you close your eyes during their show you are instantly transported to a swanky lounge with old blue eyes at the mic! 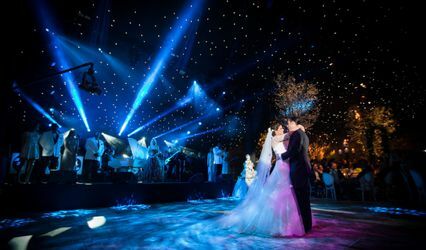 They offer a variety of wedding packages that give brides the best options for entertainment for their special day!